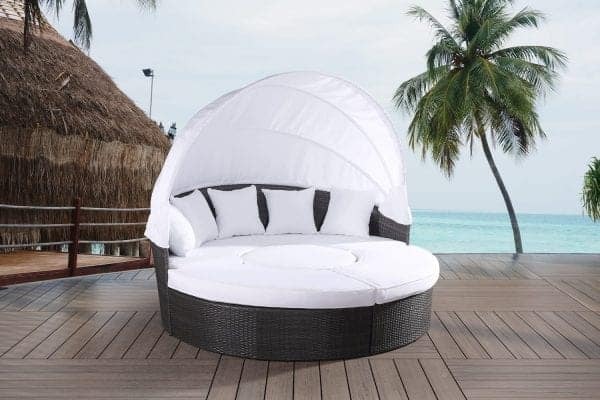 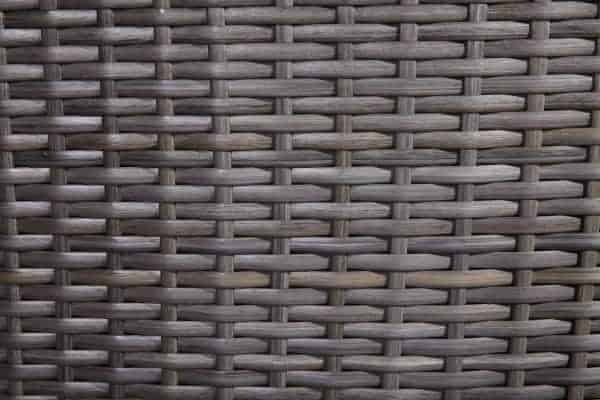 This resin wicker daybed was designed for a romantic outdoor setting on your deck, patio or garden. 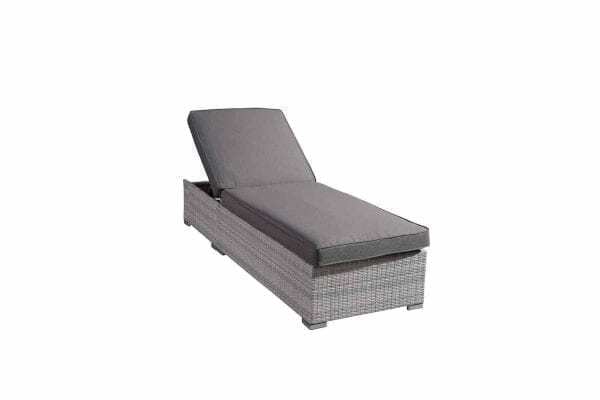 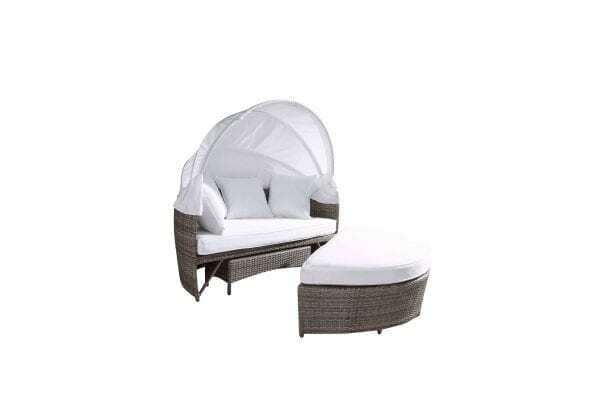 The SOGNO daybed collection bring stylish modern design to your backyard or patio. 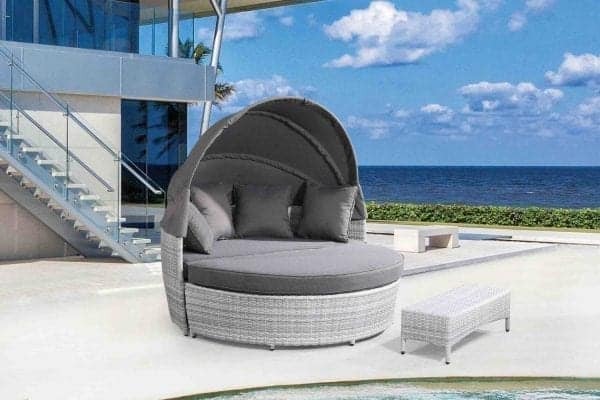 This egg-shape design will make any outdoor space look better. 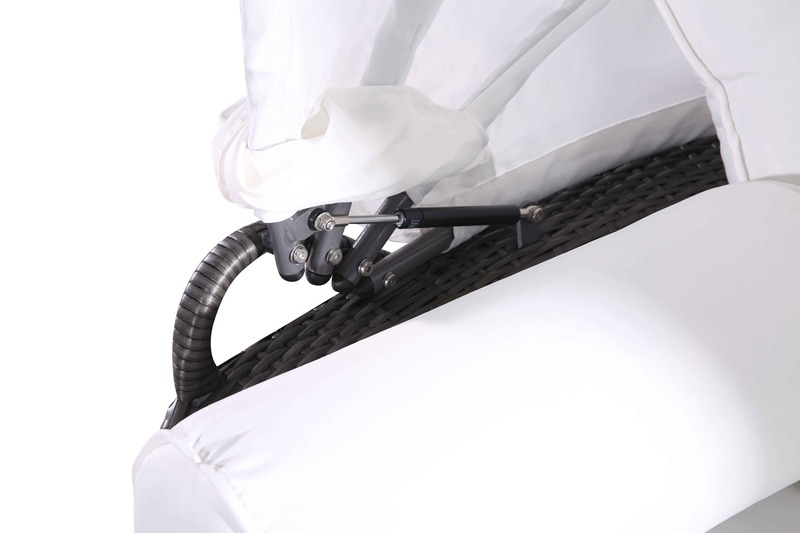 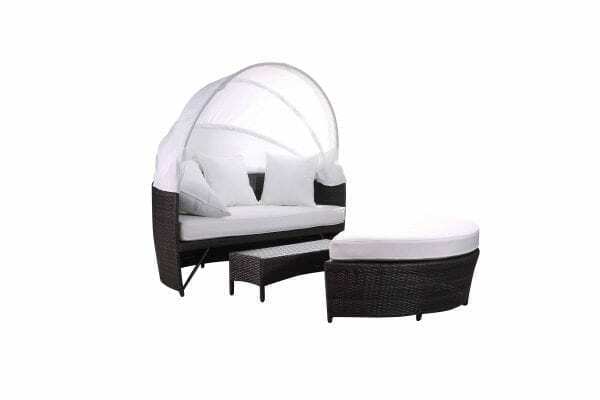 Thanks to the easy-to-use retractable canopy, you can lounge comfortably without the distraction of the sun! 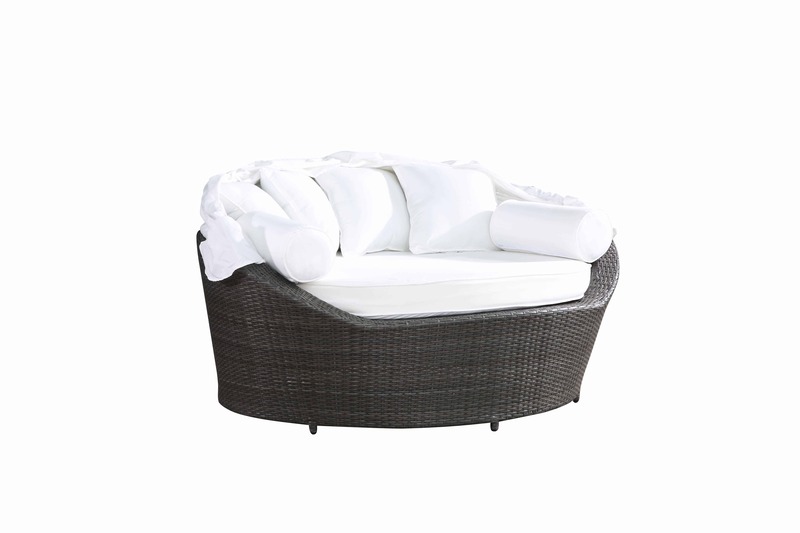 Each set comes with four decorative cushions to enhance the lounging experience. 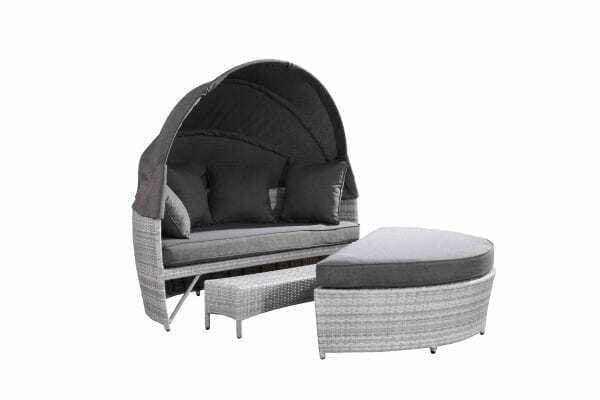 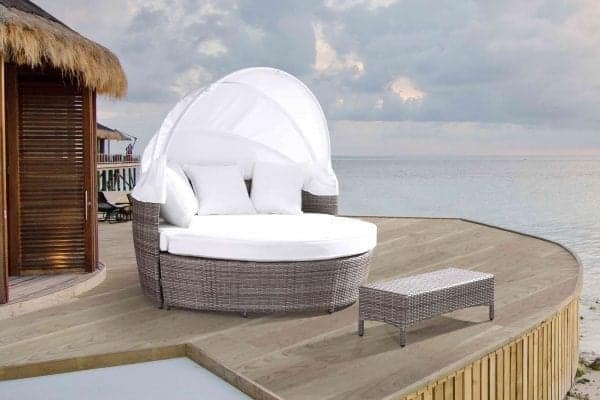 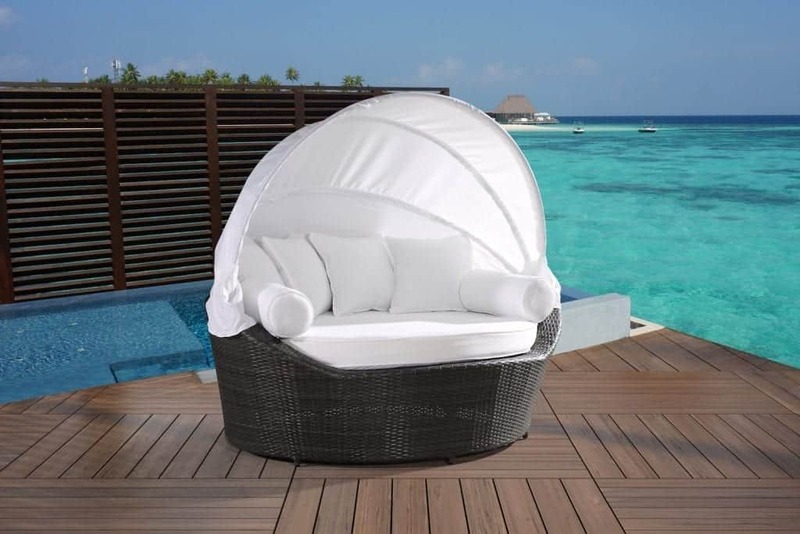 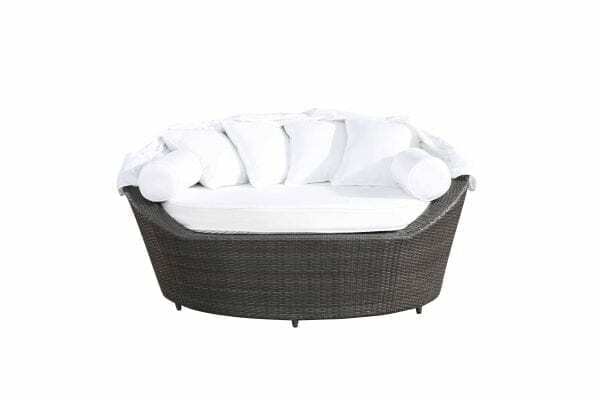 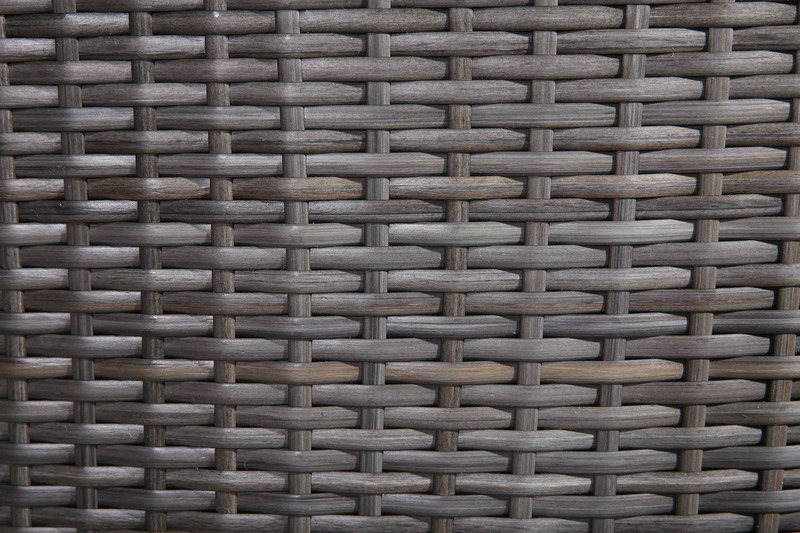 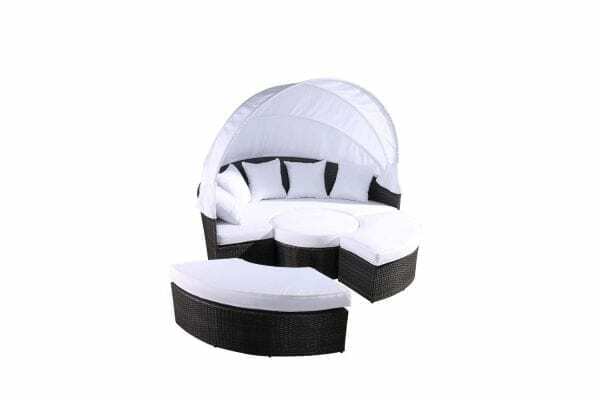 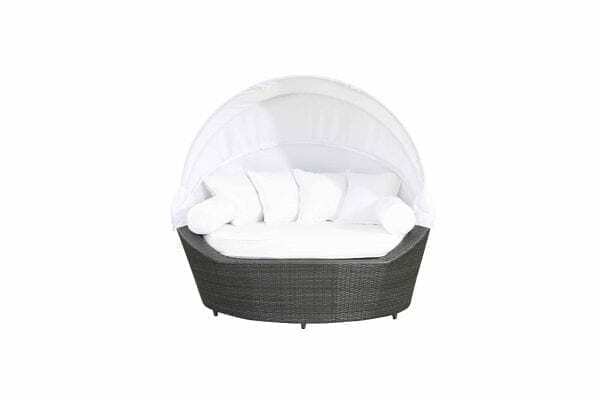 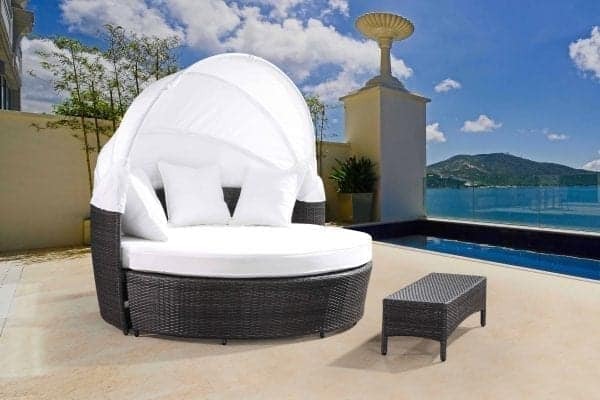 This set is made from durable all-weather resin wicker and provides enough room for two people.